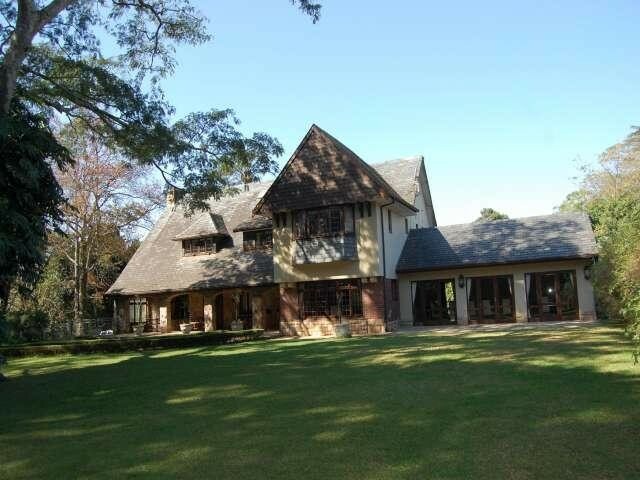 Sign up and receive Property Email Alerts of Houses for sale in Botha's Hill, Botha's Hill. Glorious homestead close to the prestigious Kearsney College, this versatile home offers lots of accommodation! Perfect for guest lodge and wedding venue. Entrance hall leads to a comfy lounge with a beautiful fireplace for cold winter nights,conference room, study, huge separate dining room, beautifully fitted kitchen with break first nook scullery, laundry and staff accommodation. Upstairs there are 5 up-market double bedrooms, that can accommodate 10 guests, with the executive suite large enough to accommodate a family. Elegantly furnished and luxuriously appointed, the rooms offer exquisite decor, all with superb en suite bathrooms. In addition there is second house offering 3 bedrooms, open plan kitchen,full bathroom plus and a 2 bedroom Granny flat,open plan kitchen and full bathroom all surrounded by a level manicured, garden ( 5,932 m2 ) with a pool and entertainment area. Don't hesitate to view this jewel - LETS TALK! Sign-up and receive Property Email Alerts of Houses for sale in Botha's Hill, Botha's Hill.